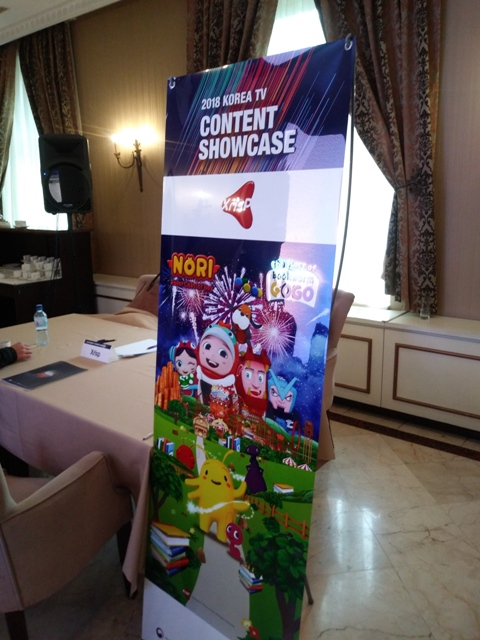 The 2018 Korea TV Content Showcase was held in a conference room in the Lotte City Hotel Tashkent Palace in Ukraine on October 29. 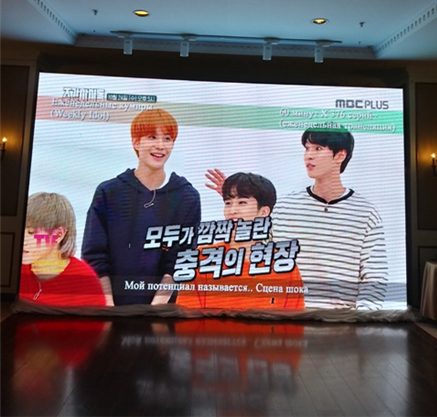 The showcase, which began at 1:30 p.m., featured 11 participants from various Korean broadcasting companies, such as MBC Plus, CJ E&M, Donga TV, Arirang TV, as well as animation production companies such as Iconix, Mico, Vooz, and XrisP. Local members of the press, including officials from cable channels and national broadcasting companies, showed great interest in the showcase, which had last been held in 2013. The showcase kicked off with a video that introduced various Korean programs, including popular dramas and variety shows featuring K-pop idols. 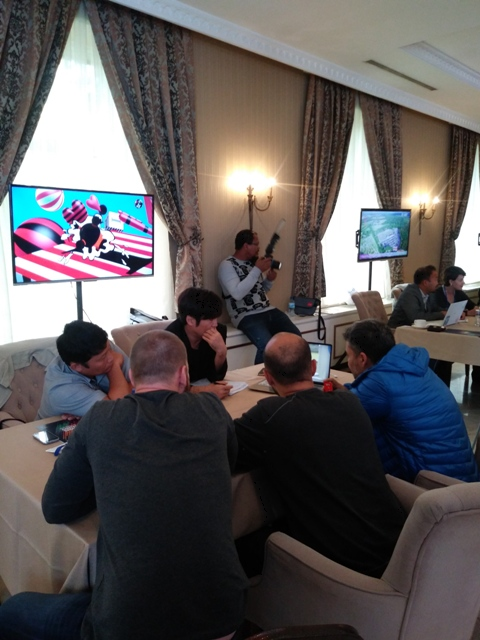 At booths set up throughout the room, local content producers received advice from companies like Iconix, which produced Pororo the Little Penguin and Tayo the Little Bus; Vooz, which created the Pucca character; and XrisP, which produced Nori Roller Coaster Boy. 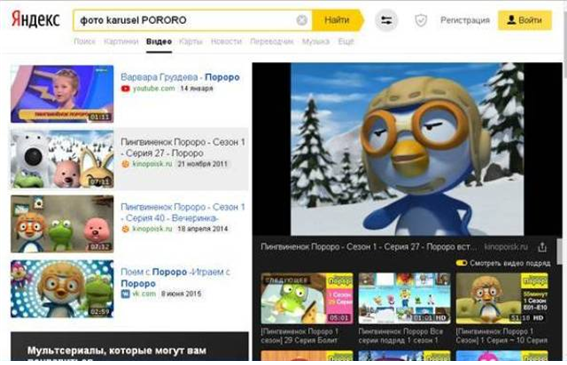 Shows like Pororo the Little Penguin, Tayo the Little Bus, Chiro and Friends, and Robocar Poli are popular with children in Uzbekistan, where the shows have been broadcast through Carousel, a Russian channel. Pororo is especially well-known by Uzbekistanis, to the point that there have been discussions to make an Uzbek-version of the show, and to feature the character in other spaces. There have also been discussions to broadcast animated shows that have yet to be shown in Uzbekistan, and some local broadcasting companies have asked for continuous updates on this matter. One official from a local production company, who we met at the showcase, said that “there have been continuous queries into purchasing rights for Korean dramas, and recently, an increasing number of requests to purchase variety shows that target families and young people, and queries about the licensing process for production of sports-related programs.” Queries about the overall production costs and process for a sports program focusing on soccer, such as aquiring licesnses, technical aspects, and the outdoor production process, ensued at the showcase. Officials at the CJ E&M booth also met with multiple local production companies. CJ E&M was the mastermind behind Guardian: The Lonely and Great God, which was an online hit in Uzbekistan. Local companies were especially curious to learn about the newest Korean historical dramas, which have been consistently popular in Uzbekistan. In recent years, local cable broadcasting companies in Uzbekistan have been trying to make major changes in their content. These attempts include comedy programs that target young people, who occupy a big portion of viewership, and singing competition shows. Winners of such shows, which pit regular people or up-and-coming singers against each other, have gone on to take part in Russian singing competition shows, leaping to stardom in their home countries. Turkish dramas, which depict romantic relationships in a bolder light than before, are also gaining popularity. They are part of the new wave of dramas in Uzbekistan. The 2018 showcase thus comes at an appropriate time, when the broadcast industry in Uzbekistan is undergoing a transition. The animation and sports shows, dramas, and various variety, diet, and trendcentered shows, which drew much attention in this showcase, will possibly be imported and licensed for broadcast in Uzbekistan. I am excited to see the expansion of Hallyu content on local screens.